Dr. Mikael Enelund received his PhD from Chalmers University of Technology in 1996 and was awarded Docent degree in 2006. His research has focused on the development of fractional calculus as an engineering tool, modelling and optimization of damping and mechanical engineering education development. 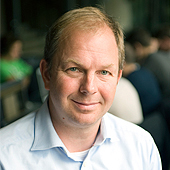 In 2005 he was appointed head of the MScEng program in mechanical engineering at Chalmers. Under his leadership, the program was awarded Centre of excellence of higher education 2008 by the National Swedish Agency for Higher Education. Second International CDIO Conference, Linköping University, June 13-14, 2006. There might be more projects where Mikael Enelund participates, but you have to be logged in as a Chalmers employee to see them.